Nash competed at the past Summer Olympics in the cross country mountain bike event, making her a 4 time Olympian. Nash has also competed in the Olympics for Nordic Skiing. She also holds impressive wins for not only mountain bikes, but in cyclo-cross and road racing as well. Nash is currently on the Team Luna Chix Team. Daron Rahlves is one of the most decorated American Downhill and Super G skiers in history. Rahlves has won 12 World Cup races, 7 US National Titles, Winter X Games winner, and the list goes on. Rahlves is currently involved with the “Rahlves' Banzai Tour”, here at Tahoe. 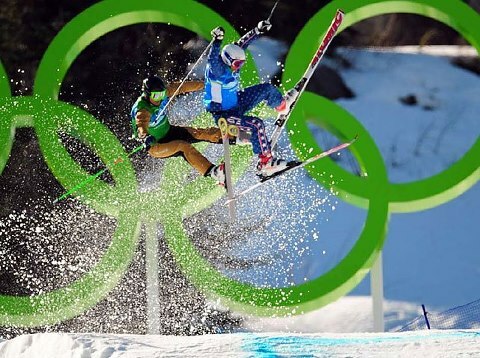 Nash and Rahlves will share photos and talk about their personal experiences at the Olympic Games. November 6, 2012, 8:30pm. 10007 Bridge Street, Truckee, across from Bar of America.